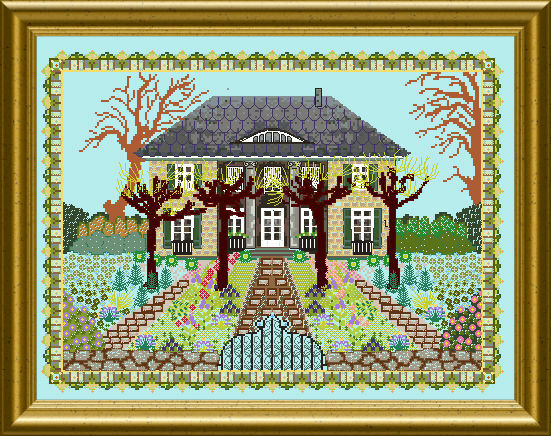 This multi-layered design was inspired by the Max Liebermann Villa in Berlin – a mansion with a beautiful, semi-formal garden. 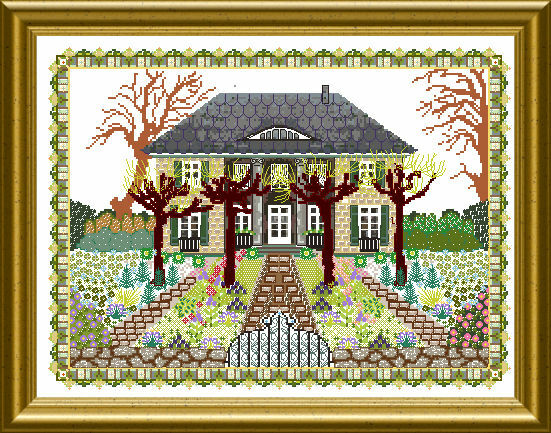 The design was made in such a way that towards the foreground stitches get more and more dimension, using different weighted threads from variegated silk to fine wool and cotton. Embellished with Special Stitches, beads and crystals , you will finish an embroidery with “layers”. 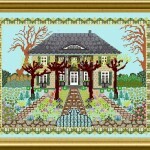 The mere design size of this piece, including the decorative stitced frame is 230 x 170 stitches.